We have more about emergency kits here. Slow down when approaching intersections, off-ramps, bridges, or shady areas. Know how your car brakes in ice and snow. Some cars’ braking systems require that you pump the brakes to maintain traction. Newer cars require that you keep an even, steady pressure on the brake pedal – even if you feel it shudder. That means it’s working. Keep steady pressure on the brake pedal. 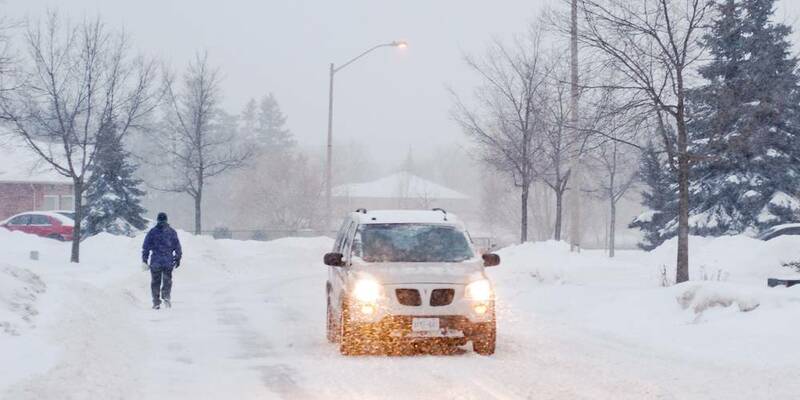 Before winter weather sets in, it’s a good plan to have your car or truck checked out by a mechanic to make sure all systems are ready for cold weather and snow. 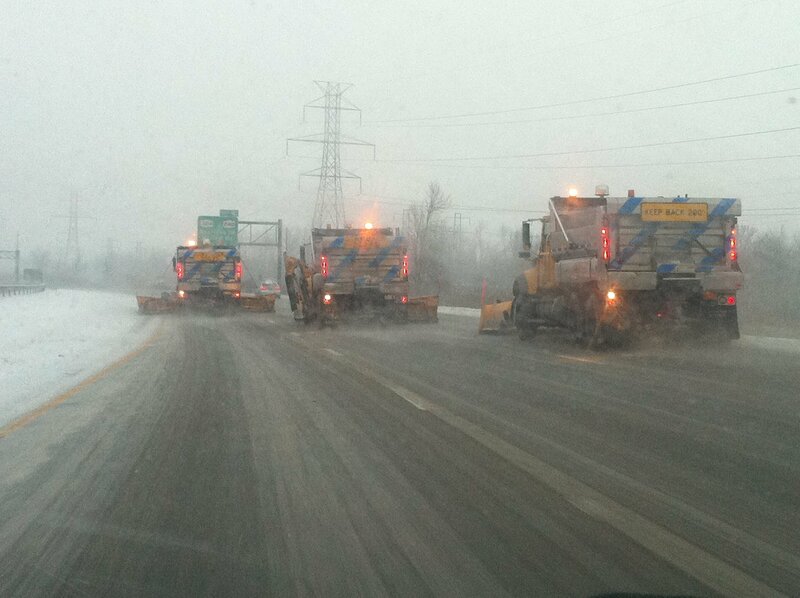 In addition, it is important to give snow plows extra room. 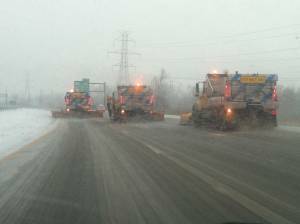 If you find yourself behind a snow plow, slow down and don’t crowd the plow! Remember to always pass on the left side. For more winter driving tips, here’s some good information from the National Highway Traffic Safety Administration. Freezing temps can create what’s called “black ice” on highways. It’s dangerous. Here’s a really good tutorial on how to drive on black ice and icy roads so you get to where you need to go.